Sell more - recruit more! This bag is insulated for hot and cold weather and holds over $2500 of product (retail). We've added 4 pockets to the front of the bag for class supplies and literature. The bag is packed using up to five standard product trays. 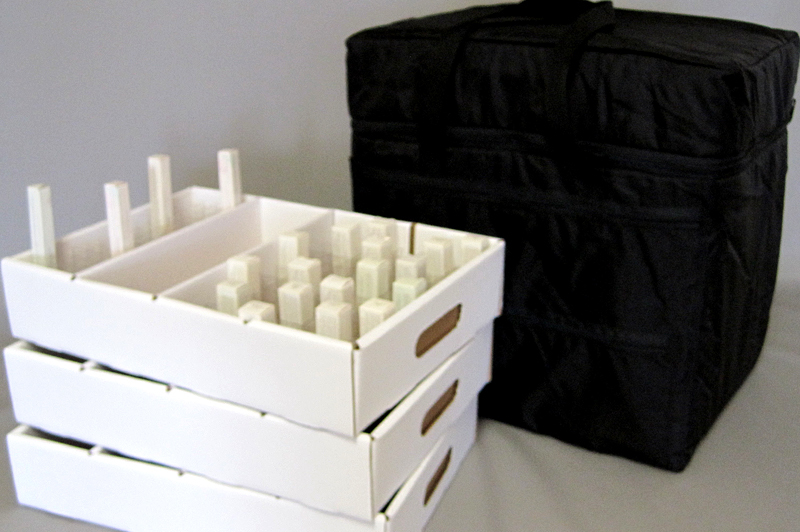 (Product trays are sold separately in the Insulated Bags Section). Weighs approximately 32 pounds when filled. 16" x 12" x 15"